Craig Anderson and Ronnie Settle make it 2 in a row with 26.80 ! Help us celebrate our 16th season and 1K followers on Facebook with our new 'Full Flights - Enter now - Pay Later!' promotion! Wednesday before each event we deposit one check for your entry! Sunday morning - No more standing in line, No more waiting for the 2nd flight! 90% percent total payback $2,000 guaranteed first place with 50 teams entered. 2. 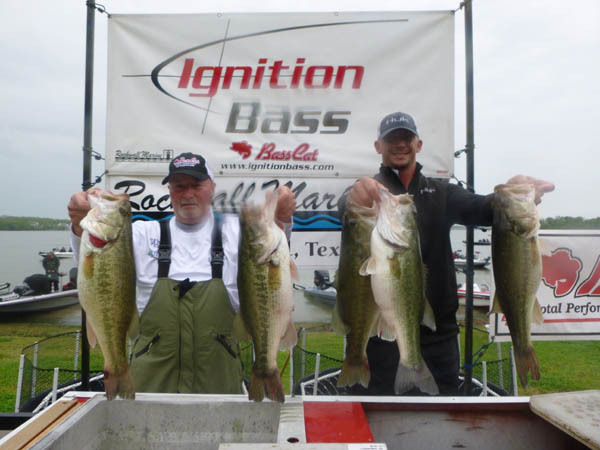 Fish with Ignition Bass at either first tournament February 25th, third tournament on April 8th or the 5th tournament on May 20th. 3. Hang around after weigh in to see if your name is drawn for the $100 instant prize (must be present to win) ! 1. 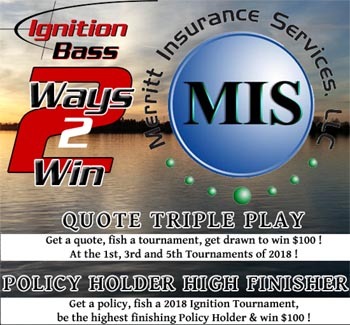 Get a Policy with Merritt Insurance !